She Had Escaped the Nazi Terror. But a Nation's Priceless Treasures Were Compelling Her to Return. In Vienna Prelude, Elisa Lindheim risked her life helping others escape pre-World War II Austria. 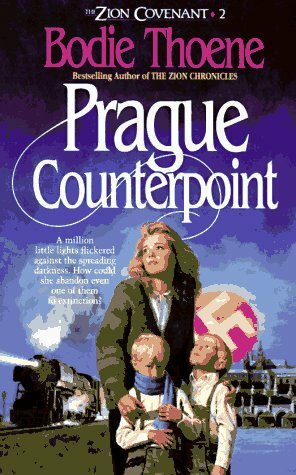 The climactic ending finds her safely in Czechoslovakia, but not for long. A million other lives are endangered, and she cannot still their silent cry for help. 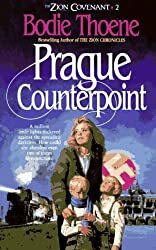 Prague Counterpoint finds Elisa watching in horror as Hitler's forces sweep through her beloved Vienna and he directs his ambition toward the takeover of Czechoslovakia. As Europe slides irrevocably toward the brink of war, Elisa is torn between the Underground's lofty political goals and the safety of two little boys-. And underneath it all, her heart yearns for John. Will she ever see him again? The Electrifying Sequel to VIENNA PRELUDE.